Are you a human being who lives in Tulsa? Does your house have Windows? Are those windows dirty? Are you currently searching for a window cleaning company in Tulsa to give you an instant window cleaning estimate? Well you come to the right place! Here at Gleaming Glass, we’ve made it as easy and quick as possible for you to get a window cleaning quote. Simply visit www.gleaminglass.com and click the instant estimate button. From there you’ll be brought to another screen in the tulsa instant window cleaning estimate where you’ll be asked to fill out a form. This form isn’t like other forms you might have filled out in the past. It’s a very simple easy to use form, and we don’t ask a ton of questions. All we need to know to give you window cleaning pricing is a few contact details, how many windows and screens you have, and how you heard about Gleaming Glass. To start off, simply select the services you’re interested in getting a quote for. For this example, we’ll just pretend you selected window cleaning. Now let us know where you heard about us. If you found us on Google search, I’d appreciate it if you or to share with us the exact Search terms you searched for in Google. You can do that at the end of this form in the additional notes section, but it’s not necessary. Next, you will be asked whether or not you have storm windows. If you’re not sure whether or not you do, there’s a good chance you don’t. Storm windows are typically bolted to the frames of your normal windows, and they are used to further insulate your house and keep out sound. Unfortunately, we no longer offer storm window cleaning due to the liability risks associated with installing and uninstalling storm windows. The cleaning of storm windows it’s quite an undertaking. It’s a very time-intensive labor intensive task. Each storm window needs to be unscrewed from the home. Both sides of the storm window need to be cleaned, and the exterior side of the normal window needs to be cleaned as well before the storm window is reinstalled. There are other window cleaning companies in town who offer storm window cleaning, but we are not one of those companies. We also found that it was nearly impossible for customers to count the storm windows vs regular windows, so the numbers being entered in the instant window cleaning estimate form were inaccurate. If you do have storm windows, I would like to save you some time up front and request that you don’t waste your time filling out our instant window cleaning estimate form. Once you’ve answered yes or no to the storm windows question, you’ll be asked how many French window panes you have. French window panes are tiny tiny pieces of glass divided up buy a grid of frames. With French window panes these frames literally stick out from the surface of the glass. A common show me how would have customers counting their own Windows is that they confuse French window panes for regular window panes because some vinyl windows have those grids within the glass. You only count them as French window panes if the frame stick out from the surface of the glass. Remember, you’re counting each individual piece of glass. So every one of those small French window panes counts as one French pane. Next, you’ll be asked to count your regular panes. This covers everything from your front and back door glass to your bedroom windows, just about everything in between. Basically, if it’s not a French window pane, it’s a regular pane. After that you’ll be as how many screens you have. You only have to count how many screens you have if you’re wanting your screens cleaned, or would at least like to get pricing for how much it would cost to get the screens cleaned. Now, hit the continue button. Please note, that the pricing packages you receive will be solely based off the information you provide. If you accurately counted your windows and screens, your pricing will be accurate. However, if you forgot to include a couple of screens or windows in your count, your pricing will be off a little bit. After you’ve scheduled to get the windows cleaned, and we arrive to do the cleaning, we’ll do a quick recount of your windows to verify that the count is accurate. If we find any differences between your number of windows counted and ours, we will inform you of that in the price change, before we start the cleaning. That settles the window and screen count portion of the form. Moving on to your contact details. Apparently, there’s a weird phenomenon taking the world by storm, and it’s called smartphones. If you’re one of the trendy, high-tech people out there using one of these sophisticated gadgets, you are in luck. Rumor has it there’s something called an autofill feature on these smartphones. With just one click of a button, your phone can enter all of your contact details in for you. What a time to be alive! This too is unconfirmed, but I’m also hearing that this feature is available on desktop computers! It makes filling out her form a breeze. After you’ve entered in all that information, you’ll be presented with a text field to enter in any additional comments. This is a good place to tell us about any broken screens you may have, whether or not you’re having problems with hard water stains on your shower door glass or do you windows around your home, whether or not you’d like to get on a maintenance window cleaning schedule, or even any issues you think we might have accessing some of your windows. After that’s all good and done, click the “get bid” button. Now here’s where the magic happens! You’re almost done filling out the form to get an instant window cleaning estimate. You will now be presented with 3 different cleaning packages that we offer. Or premium package includes exterior window cleaning, interior window cleaning, screen cleaning, in the vacuuming of your window sills. Our next packages the deluxe package. This package includes the cleaning of the exterior and interior windows, and is our most popular package. A step down from that is the basic window cleaning package. It includes an exterior cleaning only, which is great for last minute cleanings where you are just looking to improve the overall look of the windows quickly before a party or event. It’s also great if you’re looking to save money and you would just like to clean the interior windows by yourself! If you were just curious about what our prices might be, then you have arrived my friend. 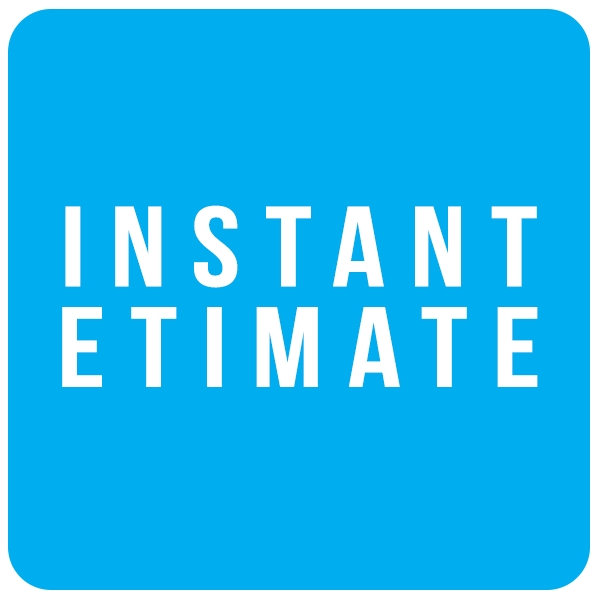 You filled out the instant window cleaning estimate form, and you now have your prices. However, if one of these cleaning packages is appealing to you, you can schedule a cleaning by clicking the schedule now button. After clicking schedule now, you will automatically be sent a link to view our next available days. You will even have the option to select a day that works best for you, and book the cleaning yourself. The days of going back and forth with phone calls, text messages, and emails are over. Will you have invested in expensive software to make this whole process nearly completely automated. After you select a day that will work best for you we will instantly be notified that you have selected that day. If that day works for us as well, will send you a confirmation email stating our time of arrival. On top of that, you will also receive a complimentary email two days before your cleaning to remind you that your window cleaning appointment is two days out. It doesn’t get any easier than this! All this text makes it seem like a long process but just watch the video above, you’ll see how easy and fast it is. Get your tulsa window cleaning estimate today! Click the huge button below.